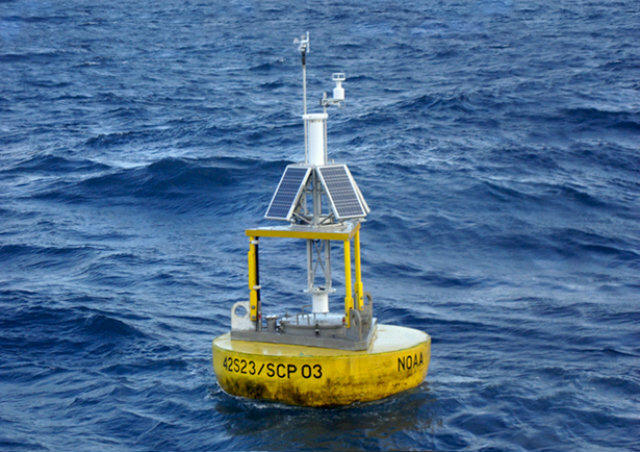 Buoy by Gregor Weichbrodt, 2017, @subtitle_buoy | Source: National Data Buoy Center, NOAA. Distributing and sharing the written word is one of the key aspects of present times. Not a day goes by without new releases, whether on a blog, a social network or by a publisher. Never before has the idea of publishing been so pluralistic. In recent years, a sphere has developed that goes beyond the triangle of author/publisher/reader. A profusion of literary practices – performances, public readings, sound and image work – has emerged. If it is true that the public sphere of literary modernity negotiated democracy through publications, what political form of society gives rise to this changed new publishing sphere? Is today’s publishing sphere democratic? The Publishing Sphere explores what constitutes literary works beyond the materiality of books, what forms of publishing exist beyond texts and what agents and players dominate the field. It calls upon academics, authors, artists and representatives of initiatives to present thoughts, research notes, images and literary references that characterize the changes in the publishing space. These form the basis for the program. The two-day workshop alternates between talks, performative miniatures, workshops, prologues and literary readings. It investigates what places of contemporary literatures exist between an abstract sphere and a material space, what protocols decide what constitutes a literary work beyond the materiality of books, what economies of attention are employed and what imaginative spaces arise in this decentralized and unstable field of publishing. Radio Brouhaha, which will be broadcasting for the first time, will capture the experimental atmosphere of the final evening in a live broadcast from HKW. The Publishing Sphere is conceived by Lionel Ruffel (Université Paris 8) with Annette Gilbert (Friedrich-Alexander-Universität Erlangen) and in cooperation with Franziska Morlok (Fachhochschule Potsdam). The Publishing Sphere will take place prior to the 9th Internationale Literaturpreis – Award for Translated Contemporary Literatures, which will be awarded at Haus der Kulturen der Welt on July 6, 2017. The Publishing Sphere receives support from Haus der Kulturen der Welt, Berlin, Université Paris Lumières, Institut Universitaire de France and the Alexander von Humboldt Stiftung via the province of Irene Albers at the Peter Szondi Institute of Comparative Literature at the Freie Universität Berlin.